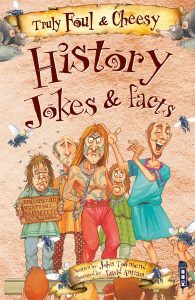 Yes, the first of my ‘Truly Foul & Cheesy Jokes & Facts‘ books are now out – with another 6 to hit the world later in the year. Get ready to laugh and learn! 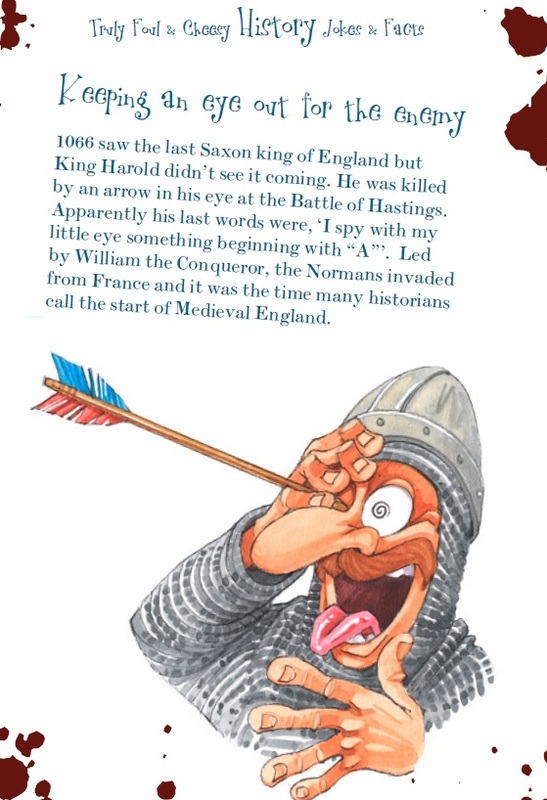 History Jokes and Facts (Truly Foul & Cheesy) History is far from boring in this hilarious, fact-packed joke book which will have young readers laughing as they are learning. And that’s the real point – there is so much to be learnt through this humorous approach, and the way the information is presented means it is very memorable. 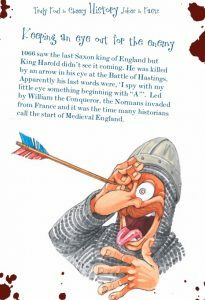 It features dozens of gut-busting gags that children can share with their friends, themed around the gross and gruesome aspects of history, along with bite-sized information about the topics covered – and plenty of hilarious illustrations. Prepare to hear lots of grizzly and gruesome facts! Science Jokes and Facts (Truly Foul & Cheesy Joke Book) Books like this are brilliant to encourage children to read – just leave a copy lying around and they won’t be able to resist dipping in; and once they do, they will be hooked! There are plenty of unpleasant things in science, from the horrible death of astronomer Tycho Brahe to the top ten odd habits of Nikola Tesla; no, I’m not telling – you’ll have to get your own copy of the book to find out! 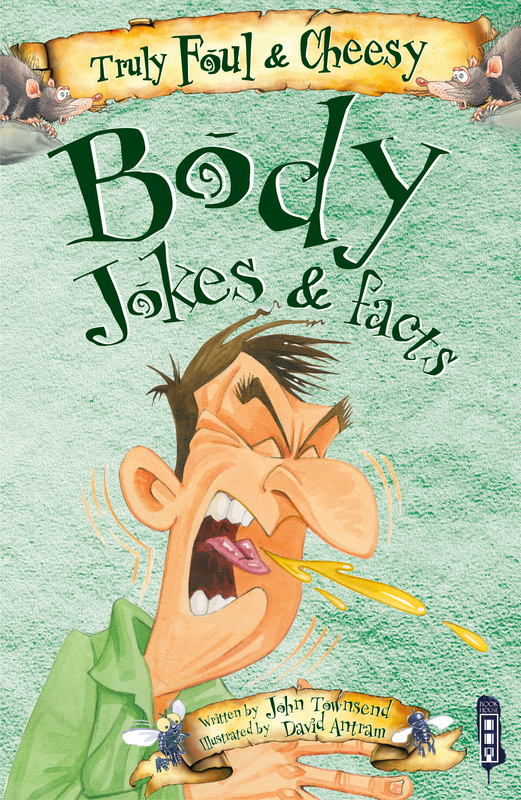 The humour is blended with plenty of factual information which children will absorb as they enjoy the book, increasing their interest in and knowledge of science. 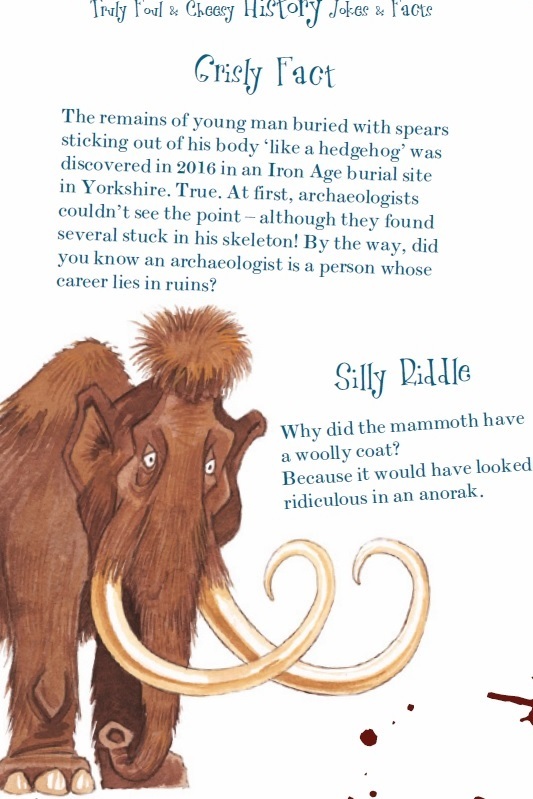 Animal Jokes and Facts (Truly Foul & Cheesy Joke Book) Another fascinating blend of joke and fact, perfect to give children plenty of quotable quotes. 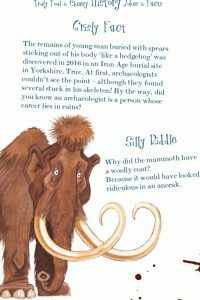 Riddles, jokes long and short, and plenty of interesting facts combine with hilarious illustrations to offer children plenty of laughs on every page, whilst increasing their knowledge about wildlife. A series which children are going to love. We hope you’ll ALL love ’em! So far, this Summer Term has been sizzling. The wonderful primary school in the village of Stokeinteignhead (quite a mouthful and however do they learn to spell it?) was a brilliant place to visit and I think Class 2’s jokes were even cheesier than mine! A big thanks for such enthusiasm and all the fun. John Ferneley College in Melton Mowbray has a buzzing little library where I met some delighful characters for workshops, then spoke to the whole of Year 7, 8 and 9 in the auditorium. Guess what – they taught me a new word: ephebiphobia. Apparently, it’s the fear of teenagers. 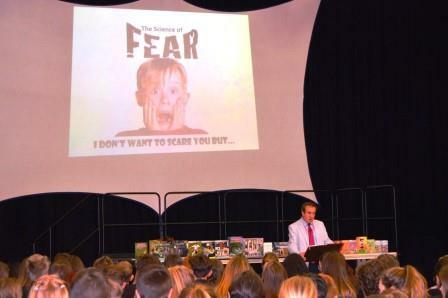 Fortunately, the teens of JF aren’t tooo scary! “I had the opportunity to take part in John Townsend’s presentation and his work shop. John’s workshop was inspiring, he really understood both the interests and the needs of the children taking part, John enabled some students who find English particularly hard to develop their confidence and skills in creative writing, I would definitely recommend him to others”. It was then a quick dash down the M5 to Maidenhill School in Gloucestershire to meet years 7-9 and enjoy the company of the fantastic English department and busy school library. Thanks for the great welcome and for insisting on a photograph by the red phone box at the foot of the stairs, which I’m convinced is Maidenhill’s very own Tardis because the minute I stepped inside, I was back home. This entry was posted in Uncategorised on 1st May 2017 by john.